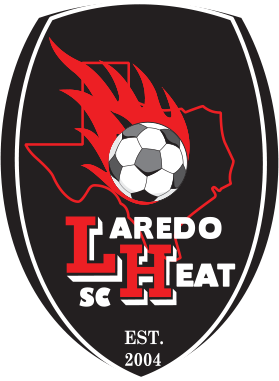 One of the most respected and successful names in Texas Soccer history is the high-level amateur side, Laredo Heat. Between 2004 and 2011 the Heat made four appearances in the Premier Development League (PDL) Championship Final, including three consecutive trips from 2006-2008-winning in 2007. So it was a pleasant surprise, after a two-year hiatus, when the Heat announced they would return to the field for the 2018 season…this time in the National Premier Soccer League (NPSL). The Heat left the PDL after the 2015 season because there were few league teams anywhere near Laredo, and lengthy trips, combined with the resulting schedule issues, became a significant challenge. The Heat always intended to return, but because of contractual and other issues, team owner and operator Shashi Vaswani said it took a little longer to return than the team originally intended. This recent major youth access initiative comes on the heels of the introduction of a wide-ranging Laredo Heat youth development partnership with Major League Soccer’s (MLS) Houston Dynamo. James Clarkson, the head of the Dynamo Academy, was in Laredo for the late March announcement of the partnership and returned a couple of weeks ago for the tryout showcase to select players for the initial non-pay to-play program teams. Vaswani is already seeing benefits from this partnership. The partnership includes immediate opportunities to play in Dynamo youth events. The longer-range goal, to enter teams in the USSDA, will be an area of focus but Vaswani admitted that the process is rigorous and will take longer than expected. Local reaction to the Heat’s return to the field has been excellent. Laredo’s Mayor came to the November 2017 press conference announcing the NPSL expansion team and soccer fans in the city have responded positively to the club’s reintroduction to the community. Vaswani did admit, though, that the passion for the team only extends so far when summer heat arrives. Not surprising. Convincing fans to attend matches when daytime temperatures reach 110 degrees would be a challenge anywhere! To guide the first season in the NPSL, Vaswani turned to an unlikely place, Northern California, to find his head coach. Dana Taylor has served as Men’s Soccer Head Coach at California State University, Stanislaus for the past nine years, where he has enjoyed considerable success. His coaching resume also includes stints at Oregon State and with the MLS San Jose Earthquakes, where he led the U23 team in 2014 and 2015. Taylor arrived in Laredo last Saturday and hit the ground running, leading his first practice session a few hours after his arrival. He was previously in town in January where he led a series of tryouts that brought out more than 125 players with aspirations to join the Heat. The roster they are building will be what Vaswani characterized as the “first full high level college squad” that the Heat have ever fielded. While Taylor was in town in January he explained, in a January 19th Laredo Morning News article written by Jason Mack, his philosophy about the types of players he would like to see suit up for the Heat this season. The 2018 roster will include local players from Texas A&M International University (TAMIU) and Laredo Community College. Taylor also is using his deep college soccer connections to bring NCAA Division I and II players from all over to Laredo this summer. Interestingly though, one of the more unique players will be a Brazilian, Joao Monteiro, who played on the last Heat PDL team before the club went on hiatus. One overreaching philosophy has guided construction of the roster. Vaswani stated that ultimately Dana Taylor wants to coach players who possess a desire to become professionals. Taylor doesn’t have much time to pull things together as his first preseason game comes this weekend against a challenging opponent, USL side Rio Grande Valley FC (RGVFC) Toros. The Toros will be using this friendly, scheduled during a bye week from league action, to maintain fitness and rhythm and plan to bring their first team to Laredo. The Heat will also play a closed door friendly in San Antonio against the SAFC this weekend. The Heat will begin the preseason with roughly 60% of their final roster in place, and like most NPSL and PDL teams, will be a work in progress early in the season. Vaswani added that the Heat also could bring over players from across the border midseason to bolster the side after Mexican league’s seasons end. During the season Taylor will be assisted by his Cal State Stanislaus assistant coach, John Powell, for part of the summer and will work with members of the talented Heat youth coaching staff to fill in when Powell is not available. Laredo will compete in the Lonestar Conference/South Region of the NPSL and play a 10 game 2018 regular season schedule that extends from May 18th to July 3rd. Eight Texas teams and Shreveport Rafters FC will form the Conference and these clubs will be divided up into 3 pods for playoff purposes. The Heat will be part of a group that also includes the other new NPSL expansion side, Brownsville FC, and Houston Regals. The top two teams from each pod will advance to the 2018 NPSL playoffs. The Heat will return to the location of their most recent PDL campaigns, the Soccer Complex at TAMIU, to play their 2018 NPSL season. The main stadium has a natural grass field and seats 4,000. In addition to Heat PDL and TAMIU games, the Complex has hosted both the U.S. and Mexican U-20 national teams in the past. It took only one and one-half seasons after their formation before the Heat made a first PDL Championship Game appearance. It will be intriguing to watch as they endeavor to achieve the same level of success in a highly-competitive Lone Star conference, one that includes teams like defending Conference Champion Ft. Worth Vaqueros and Midland-Odessa FC Sockers, a 2017 NPSL Championship finalist. The Sockers provide an interesting example and potential model for the Heat. Midland-Odessa also left the PDL, shortly after their 2016 season ended with an appearance in the national semifinal round. The Sockers then advanced one step further last season with an improbable run to the finals in their first NPSL season. A track record of past success indicates it would be a mistake to dismiss Laredo’s chances to do something similar and return to the top levels in their new league too. The next stage in the storied history of Laredo Heat begins when they open their NPSL regular season on Friday, May 18 as they host Houston Regals SCA.